Fares for the Winter Park Express start at $29 each way between Denver Union Station and Winter Park Resort. Dreaming of bluebird days and pow turns? While there’s still a few warm evenings and fading glimpses of summer left, winter and its glorious sports are well on their way. And today, you can take one more step toward strapping on your boots, clipping in, and shredding some gnar. Amtrak reopened sales for the Winter Express passenger train. Tickets for the two-hour ride to and from Denver’s Union Station and Winter Park begin with early-bird prices of $29 each way. But the trip has limited fares, and prices will go up. Here’s what you need to know. Amtrak runs a popular passenger train between Denver and Winter Park Ski Resort. It gives passengers a fresh look at the mountains and avoids notoriously bad traffic on I-70 and Berthoud Pass. The train begins running Jan. 4, 2019, and will continue every Saturday and Sunday through March 31. Plus, Amtrak will offer round trips on the first two Fridays of each month. Traveling along BNSF, RTD, and Union Pacific rails, the train slices through the countryside paralleling I-70’s notorious gridlock. 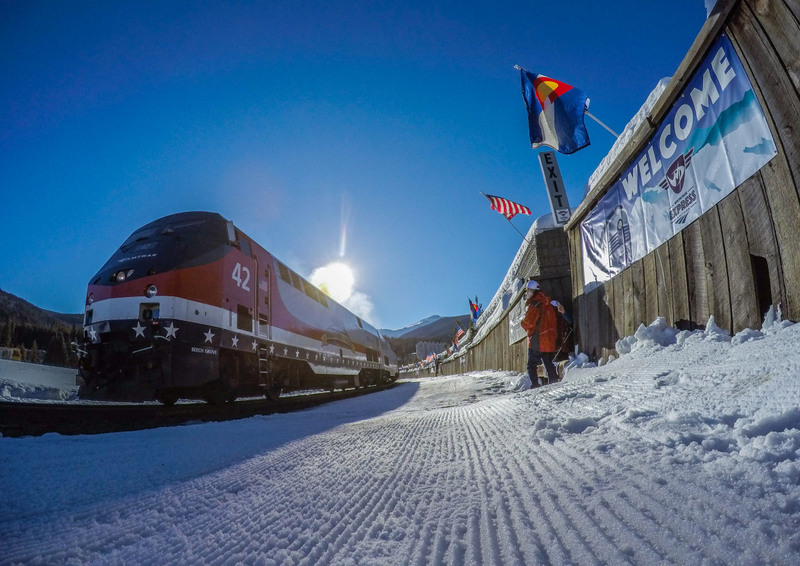 Trains depart Union Station at 7:00 a.m. and arrive at the slopes 9:00 a.m. For return trips, trains leave Winter Park at 4:30 p.m. and pull back into Denver at 6:40 p.m.
Once the $29 discount tickets sell out, prices go up to $39, $49, and $59 based on availability and price level. Get your trips booked now on Amtrak’s site.